The “Suits” star gave the British royal a toy hamster that bursts into a song after pulling its rope. Her Royal Highness reportedly burst out laughing especially when the corgis tried to take hold of the toy. She also said that the gift can keep her dogs company. The actress made a great choice of singing hamster toy since it was a royal custom to exchange cheeky gifts instead of expensive items. 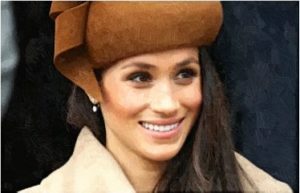 Other royal gifts that were exchanged in the past include shower caps and a white leather toilet seat, which Prince Charles continue to take these items during his trips. Meanwhile, Meghan and Prince Harry have their second public outing on Tuesday. The couple visited a London radio station, and made their way through the crowds while holding each other’s hands.